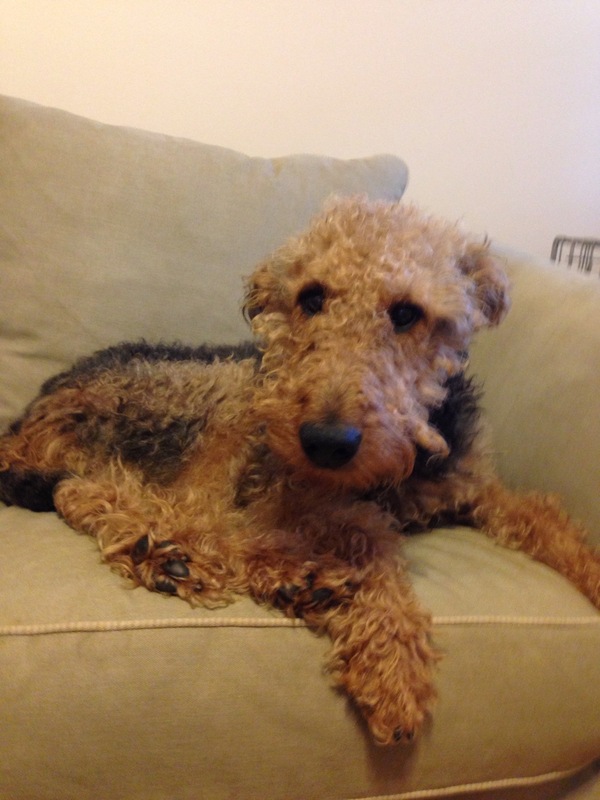 Lucy is a fantastic 3 year old Airedale who is the most loving dog ever. She literally is a hugger! She will sit next to you and snuggle up. She liked to be very close. While away during the day, I have found that Lucy will not stay in her crate. She escapes out – somehow. She likes to find things to do in the day such as pulling the scrub brush out of the sink. So, she forces one to have tidy housekeeping! Please note she does not destroy furniture ….. Just likes to get things off the counters. Lucy is still a young puppy in her mind and she jumps up on you to greet when she sees you. She is so happy to greet you after your day! Lucy needs to learn that jumping up is not proper. Lucy can easily learn this since she is such a pleaser. She needs positive training as her feelings could get hurt. She still needs corrections though! Lucy would do best as an only dog home. She likes playing with certain dogs but in the end, she wants someone’s attention all to herself. 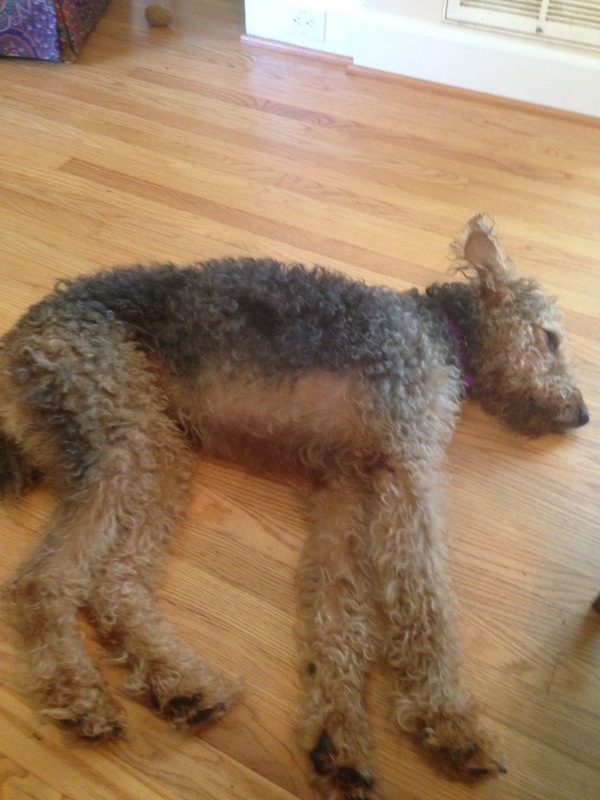 She is a light Airedale – perfect for being able to pick up. She has a black and light tan soft coat. She is up to date on all vaccines and heart worm negative.